Mothers as it is today. The club was the top floor above both shops. This was a favourite haunt of mine, and a significant part of Brum Beat life, including my own. The club opened 1968 and closed 1971. Led Zeppelin, The Who, Pink Floyd, Family, Alvin Lee. Other bands were like an ‘who’s-who’ Taste, Liverpool Scene, Fleetwood Mac, Edgar Broughton Band, Traffic, Free, Roy Harper, Blodwyn Pig, Strawbs, Fairfield Parlour, Quintessence, Steppenwolf, Black Sabbath, Deep Purple, Jethro Tull, Jon Hisemans Colosseum, Nice, Tyrannosaurus Rex, The Who, Fairport Convention, King Crimson and hundreds more. 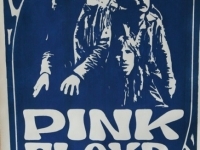 Pink Floyd recorded part of their album Ummagumma at Mothers on 1969-04-27. John Peel, who was present, was moved to say, In a moment they unfold sonorous layers one on the other in a sinfonico bang; to another block, incredibly melancholic sounds that are intersected between them as plants of dying galaxies lost in time corridors and space.The Who performed Tommy and Traffic’s world debut took place at Mothers along with fledgling rock bands like Black Sabbath playing some of their earliest gigs there. What they said: John Peel: People are amazed to hear that for a few years the best club in Britain was in Erdington. Roy Harper: Oh blimey – that was the first club outside London that meant anything at all and that’s why there’s been this long association with Birmingham. I played there about six times between 1968 and 1970. I have always enjoyed playing here. 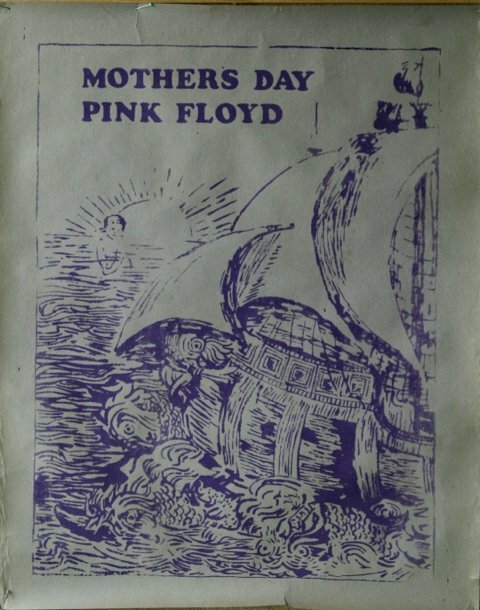 Mother’s was acclaimed as one of the most significent Progressive Rock clubs in history. I had the pleasure of meeting John Peel at Mothers, it is a meeting, I will treasure all my life. John Peel, A Pint and Me!! It was in February 1969, that I met John Peel, at ‘Mothers’ a club, in Birmingham’s, Erdington High Street. John, who had written the sleeve notes for the 1969 Velvett Fogg Album, had been playing tracks off the album constantly on his radio shows. He was in Birmingham, visiting the club, which was renowned for its Progressive music acts. I was there the same evening as John and I introduced myself, and he and I had a couple of pints, and discussed both his sleeve notes, and my participation in the album. It is a night, I will of course, remember. I worked as a bouncer for Mothers AKA The Carlton AKA Carlton Johns Agency. It is not widely known but Mothers was a huge stepping stone for Brum Groups. Groups looking to make it in the music scene were allowed to play at Mothers for free by way of an audition. If they went down well, they would be booked to play at all the peripherals for a proper fee. John Singer was the owner and he had a team of about twelve managers or partners. I am not sure about that side of things. These twelve were in charge of Different venues around Birmingham. I said I worked for Mothers, that is true but I was mostly at these outer venues. I worked at ‘The Sydenham’ in Small Heath, ‘The Station’ in Selly Oak, ‘The Hollybush’ in Quinton and ‘The Bull’ in Hay Mills. I did the odd night here and there at Mothers and saw some great names there. I was at mothers when the “Fairies ” were playing and John Bonhan was in the audience Pissed. And he had a drumming “Battle” with the “Fairies” drummer and came second….There were socks and under-pants thrown in to the audience from the end of drum-sticks…Say no more……..Also there when Floyd recorded Umma Gumma and they did “Careful with that Axe Eugene” absolutely the best performance I seen there….walked back to Sheldon afew times at Christmas…. Ps I have still got my “Mothers” Membership card.. I used to go to the Carlton in the late 50s. No live bands then just a bloke putting vinyl recorders on the record player. It was the ‘place to be’ in Erdington 1950s along with the Milk Bar a couple of doors away and the Coffee Bar further up towards the Green. The predecessor of Mothers in Erdington. Our aim to build a complete list of gigs at the Carlton Ballroom. Here’s a start but we need your help! Syd Wall was a regular at Mothers and on the ‘scene’ in Birmingham at this time. Sys has sent some really incredible posters and photos into the archive and I’ll be adding to them over the next few weeks but they really are amazing and shed a light on the consideration and detail and thought given to the design process of promo posters for Mothers (and others) during this period. Simply stunning. I went several times and certainly saw Roy Harper. Best gig was a mixed bill, with 2 stages. First stage had Jimmy Powell & The 5 Dimensions, with Rod the Mod as second singer. The main stage had what had been the late Cyril Davies’ Blues Band with Long John Baldry singing. The set ended with Rod Stewart joining them on stage, and then a (nationally) unknown Steve Winwood getting onstage and as far as I was concerned blowing all the vocalists away. Wish I’d been there when Fairport Convention did their last gig before crashing on the way back to London, causing the deaths of Martin Lamble and Richard Thompson’s girlfriend. Re, the directors were..John Taylor, Gary Serman, Phil Myatt and John Singer, John Taylor was the leading man. My old bass player Carl was a glass collector there, He met the Who by taking a few bottles of Brandy backstage before they performed TOMMY..Plus my old keyboard player played with JIMMY POWELL at the club..amazing stuff..I myself ?.way too young. DOES ANYONE REMEMBER THE TABLE FOOTBALL MACHINE @ MOTHERS, IN THE ROOM @ THE BACK OF THE STAGE.MY GIRLFRIEND & MYSELF OFTEN PLAYED WITH SOME OF THE BANDS BEFORE THEY PERFORMED. I REMEMBER WE BEAT ROBERT WYATT & MIKE RATLEDGE & THEN WE BEAT HUGH HOPPER & ELTON DEAN. ( ALL SOFT MACHINE ).THIS WAS ON THE NIGHT THEY RECORDED FACELIFT FOR THERE ALBUM THIRD.WHAT SOUNDS MIKE RATLEDGE GOT OUT OF HIS ORGAN!!!! I was at the club on the night that Martin Lamble was killed on the drive back to London. Other memories are not so sad – The Who playing ‘Tommy’, Pink Floyd recording ‘Ummagumma’, Soft Machine recording ‘Thirds’, Peter Green’s Fleetwood Mac, Canned Heat, Led Zeppelin, Moby Grape, Country Joe And The Fish, The Bonzo Dog Band, Family, King Crimson and dozens of others, celebrated or obscure. The Home Of Good Vibes indeed. Hello I am trying to collect stories about Mothers for Town Hall Symphony Hall if you would like to contact me and share your memories I would be most grateful. Went to Mothers many times betwwen 1969 and 1971. Saw too many to remember but the ones that stick out – Bonzo Dog, Rory Gallagher, Sabbath, Roy Harper and Edgar Broughton. I’ve left the best till last – Fairport 2 November 1969 doing the Leige & Leif album – the first and last time i believe. Those were the days. I virtually live in Mothers between 68 and 71, I was there when Floyd recorded and when Clapton played. Highlights were Bonzo Dog and Spirit from the States, Rory Gallagher would always bring the house down and never did a bad show. When Mobey Grape did an all nighter there the bass player was so out of it he forgot to go off stage when they finished and just stood there playing obliviously. Lots of people would indulge in what was then called in the press ‘idiot dancing’ (seen at many festivals at the time) and appear stoned, but it was the euphoria of the place that made you high and only occasionally other substances. Even though I lived the other side of the city and had to catch 2 all night buses to get home I would brave snow, (on Christmas Eve once) and rain to see the best acts. Once great bands would cut their teeth playing venues like Mothers, where do they go now? I was at the Spirit gig..’.amazing!….Do you remember Robert Plant grooving away down the front? We hitched from Bath,and home again after the gig…we must have been the worst hitchhikers in the world! Got home 2pm the following day! I wish that I had kept the typewritten flyers that you picked up on the way in – a Who’s Who of Rock music. The Faces had a ‘lock-in’ after their gig, so we were mixing with Rod and Ronnie Lane – superb. I remember squeezing past Roger Daltrey’s Corvette to get in to see The Who. Keith Emerson playing ‘America’ stabbing his organ – John Peel playing Steve Miller Band’s ‘Sailor’ LP before watching the Liverpool Scene. How much was it to get in? 25 shillings? I have a flier from ‘Mothers, The home of good sounds. Proudly present the only Midlands appearance of The Grateful Dead……. ‘ dated October 11th (no year), i cant find any reference to this concert on dead archives. Did it happen? can anyone shed light? I don’t think it happened. A lot of groups were billed well in advance but the gigs never occurred for any number of reasons. I’m writing The Encyclopedia Of Jerry Garcia Music Venues. I’m interested in seeing the flier for the Grateful Dead at Mothers. 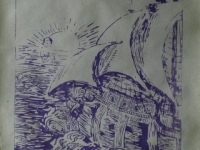 Could you send me a scan of it? remember going with my older sister and her friend to mothers erdington to see procol harum. I was only 14 years old at the time but managed to get in, and remember my shoes sticking to the carpet……got absolutely smashed on 2 halves of their cider and haven’t been able to touch the stuff from that day to this. It was such an intimate place and looking back, can’t believe how close we were to them when they were performing. Went backstage afterwards and got their autographs on huge posters, sadly lost long ago. I returned many times to mothers and saw some great bands up close and personal…..you would never get that close to bands today. I remember in the mid 60’s going regularly to the Carlton Club, it was above Burtons the tailors shop. We used to go on a Tuesday night where both stages would have a top act, The Moody Blues and the Move for the fantastic price of 1 shilling. The club was a fantastic intimate venue, unlike today. I remember seeing Georgie Fame there and leaning on the corner of his piano while he was singing. Venues like this will never be seen again, the bands and acts today demand large auditoriums with thousands in the crowd. We used to queue up down the alley at the side of the club for maybe 10 minutes to get in. Fantastc memories. I remember seeing Led Zeppelin at Mothers on their first tour early 1969. We queued in the alleyway at the side for about 1 hour. It was so loud that my girlfriend was physically sick! I also remember John Bonham’s wife being a little worse for wear on the metal staircase outside. One other memory was the late John Fahey, legendary Americana guitarist on his only UK tour. Great days. 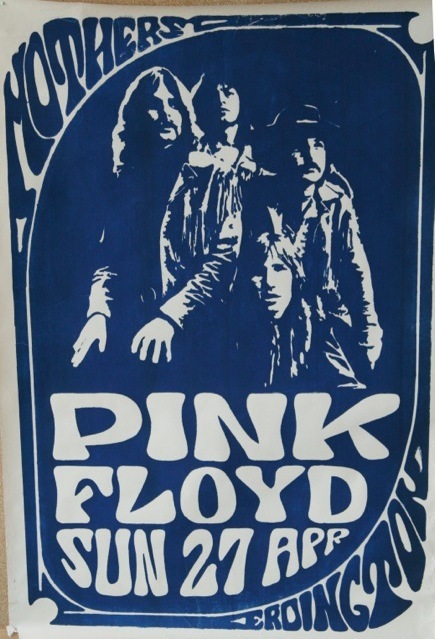 I was at that show, in early March 1969 as I recall. I don’t remember it being do tloud, but then it was 47 years ago! if anything, I suspect the 3 Who conderts I saw at Mothers were loudert to be honest. The reason I remember this show so well was at one point in the show, when they band were in between songs, someone called out ” C’Mon Bonzo” and John Bonham said something – possibly a little rude – back to them. A couple of weeks later I saw them again in Cardiff, my home town, and remembering the shouted “C’mon Bonzo”, when they were in between songs I shouted this out. I think John Bonham was so surprised that someone in this audinece knew his nickname he didn’t say anything, just looked around absolutely baffled!. As i remember the performance at Mothers, it was more than just pretty good, it was astounding. I also saw the Moody Blues there, Bonzo Dog there, the Who 3 times, and several other bands. Wonderful place, I was really sad when it closed down. I have vivid memories of Jethro Tull playing there on a regular basis. Ian Anderson would usually kick off with “My Sunday Feeling” and perform with his trademark one legged stance playing flute and wearing his old overcoat. Great Days! Other favourites were Family, with Roger Chapman hurling lemonade into the audience and occasionally the pint pot as well. Colleseum, 10 Years After, Traffic and so many more graced that small stage. Sadly missed but always happy memories for this now pensioner. As part of The Erdington Village Fete, on Saturday July 13, 2013 a blue plaque will be unveiled to honour The Carlton Club/Mothers. There will be a live concert on the high street along with street entertainment, food and many surprises. Please come along, it will be a great day! Brilliant day at the Erdington Village Fete. Great to see Mothers honoured at last. The Traveling Pilbury’s were awesome. Has the plaque been put up yet? I remember taking my then girlfriend, now my wife of 44 years, many times to the Carlton Club from 1967 till about 1970, when it had become Mothers. Unfortunately the dozens of pseudo hippies pretending to be out of their heads,man, and doing idiot dancing because they had seen the Woodstock film, put me off going to Mothers on a regular basis. The Uglys were the best band I saw there, or anywhere at the time. I was just too young to go to Mothers , but I used to pass by the place every day on my way to school at the Erdington Abbey. Hard to believe that musical history was being made just a few yards from where I walked! Fact: My brother, Paul (no longer with us), once told me that he got chatting to the guitarist (Les Harvey) out of Maggie Bell & Stone The Crows, when he was at the club.. My brother said he was a real nice guy – sadly, some months after, Les Harvey was tragically electrecuted whilst on stage at a gig in south Wales. Fact: I once lived in the same road that the great Stevie Winwood was brought up in – ATLANTIC ROAD, KINGSTANDING. Remembering The Carlton in the early/mid 60’s. Meeting mates in the pub across the road, queuing in the alleyway, before watching the M & B 5 (later the Moody Blues). Seeing Fleetwood Mac with Pete Green on guitar, Spencer Davis, etc, etc. So many different, local bands. All good. Watching ‘the stars’ of that time – Eden Kane, The Four Pennies (Juliet) cause mass hysteria from the girls in the club. In December, ’64, meeting Gene Vincent in the pub opposite, him buying me a pint, and performing as only he could on the small stage. His return in the Jan of 65. Having my coat nicked from the cloakroom, the ‘disagreements’ in the alleyway afterwards. In those days you wore a suit – the girls in their mini skirts! Tremendous. Don’t think there was a better venue in Birmingham at the time. Many of those bands are still going – perhaps not with all the same personnel – but what a place to serve an apprenticeship and meet girls! Magical times. I’m trying to find anyone who knew my mother Evelyn sheena Foster and my father charles Palmer who used to go ballroom dancing in Birmingham in the late 40s and 50s. If anyone remembers them please contact me. Great memories of the Carlton. The Mail had an ad saying “Do the kick at the Carlton” Does anyone remember the yard of ale contests on a Saturday night? I visited Mothers many times. I rode there from Coventry on my Lambretta scooter. I remember queuing in the alley and the smell of pot inside. I saw The Who, Tyrannosaurus Rex, Moby Grape, John Hiseman’s Coliseum and The Deviants. My favourite bands were Fairport Conventiom and Eclection and I went to the club every time they were there. Does anyone remember seeing Graham Bond? He turned up with his Hammond organ, but spent the first hour waiting for his ‘Leslies’ (speakers) to arrive. Don’t know the line-up except his wife Diane Stewart was in the band. Vividly remember Taste,especially Rory Gallagher.Also a band called Spontaneous Musical Ensemble,really weird.My one claim to fame was standing next to Marc Bolan in the gents.Amazing,and no I did not look.Went to see Roy Harper but he never turned up.Cheers Roy,no hard feelings. Just remembered,also saw Duster Bennett’s one man band.We went to Mothers “sister”club the Bolero at Wednesbury owned by the same people.John Mayall played there and also an unforgettable performance by Jimmy Cliff.The Graham Bond Organisation was also there.These were great times in West Midlands music scene. Remember Carlton/Mothers. The queue in the alley and climbing the stairs! I remeber sitting on the floor as there were not many tables and chairs. Bands – The Who, Fleetwood Mac, Spencer Davis, Chicken Shack ( I think), Lots more. Great place. Also remember Ritz in Kings Heath now burned down! I hope there will be tributes at Erdington Spring Festival in 2014. Does anyone have any information about the Carlton Ballroom BEFORE it became Mothers? I am researching my family history and I have a photo of my grandfather playing in the “Carlton Club Band” in the 20s or 30s, but I want to verify that it is the same place. He lived in the Aston/Erdington area so It’s quite likely to be the same place, but it would be good to be able to confirm this. My cousin’s husband’s parents (named Haynes) used to own the Carlton before it became Mothers. Sadly he died a couple of weeks ago but his wife is still alive. She used to go bopping there with my sister. I don’t think she’s got any photo’s but she might be able to remember a few things. Get in touch. I am trying to find out if The Kinks played at Mothers, I have seen a forum about somebody seeing their van parked in Church Rd, and a friend told me he saw Ray Davies having a pint there sitting next to him, but others tell me that they never appeared there, does anybody know for sure?…..
I’ve looked through the Mothers book which lists all the gigs that took place there and there is no Kinks gig listed! Saw your comment on here about looking at `Mothers Book` to see if the Kinks played there. Ive looked for this book but cant find it, can you point me in the right direction of where to look? Yes, the Kinks definitely played there. Also saw Spencer Davis and Gerry and The Pacemakers. It was the Carlton when The Kinks played there, not Mothers. Hi Kev. It is possible that the Kinks played there, tho I never saw them there myself. I know what often happened was that bands used to play the town hall and then go to Mothers after the gig to chill. I saw Led Zep there one night after they had played the town hall. Hi,The Kinks played there before it was Mothers.It was still The Carlton.I was there.Cant remember year but may have been 1967.Ray Davies brother asked me for a light for his ciggie.They blew the roof off that night.Also saw The Small Faces there.Magical Nights. Saw The Who there twice, When they played Tommy, shortly after the album’s release, Keith Moon passed out twice and they were unable to complete the set. Was it the heat, booze or something else? I was the nutter standing on the table vainly leading the cheering in an attempt to bring the group back on stage. I once spent an entire weekend there. Saw Richie Havens on Friday, Procol Harum on Saturday and Deep Purple with Caravan on Sunday. No wonder I was always too skint to buy the vinyl. I remember talking to the late Adrian Henri of The Liverpool Scene in the bar. He told me that kids in America sang a song about Mothers. Here is a more complete list of acts I saw at Mothers – The Who (twice), Led Zeppelin, Deep Purple, Richie Havens, Procol Harum, Roy Harper (4 times), Third Ear Band, Bonzo Dog Band, Pink Floyd, Soft Machine, Caravan, Peter Green’s Fleetwood Mac, John Mayall’s Bluesbreakers, Fairport Convention, Three Dog Night, Moby Grape, Steppenwolf, Canned Heat, Country Joe And The Fish, King Crimson, Blodwyn Pig, Savoy Brown, Jethro Tull, Giant, Stray, Principal Edward’s Magic Theatre, Clouds. The Liverpool Scene, Groundhogs, Family, The Misunderstood, Blossom Toes, Colosseum, The Deviants, Marsha Hunt and The Moody Blues. Two more groups have emerged from the fog of memory – Quintessence and Patto. Both sadly underrated. I went to the Carlton Club three times. First Georgie Fame, at the time he was top of the charts with that Bonnie and Clyde song and secondly to see Traffic. At the time it was a dance hall and you needed a shirt and tie to get in. Then they booked John Mayall, at the time of Bare Wires . The story I heard was Mayall would only play on a dress as you like basis. The place was packed and the owners had a rethink and changed the club to Mothers catering for the then underground / hippy market. First gigs I went to at Mothers were over one weekend, Canned Heat on a Friday when they played ‘ On the Road Again’. Saturday brought a wonderful performance by Family, the Dolls House era and on Sunday we saw Chicken Shack complete with Christine Perfect (McVie). And that was just the beginning of the Mothers’ story. Great music, wonderful memories. Many happy memories of Mothers – I regularly travelled over from Coventry. I too was there for Ummagumma, Led Zepp, The Who (I remember after 45 minutes they emptied a bucket of water over Keith Moon to stop him passing out in the heat – the fire doors were flung open and it felt like we were inside a boiling kettle). Also, no-one has mentioned Chicago, who I saw there. Plus many many others. I first went to Mothers when I was 17. Later I worked occasionally as a glass collector. One time when Pink Floyd were playing there were so many people you could not move at all so no glasses got collected but I still got paid!! I loved that place so much and didn’t mind the long walk home. Often think about Alan, barman, Fred and Charlie, back room workers and others. Happy days. Never went to see the big bands, as good as they might have been. Best night was seeing John Fahey, just ahead of the legendary Son House. Great venue and wonderful memories. And, yes, I do remember the footie machine … and the cheap cider! The best nights of my life. Sorry, dear. Many a great night there Richie Havens the Who & the Mighty Graham Bond! To a few going to reunion Keith Snow will you be there? great club- great bands- great times…! The Uglys played at the Carlton before it changed it’s name to Mothers quite a lot. There is more information about the band on this website, Steve Gibbons was the lead singer. I was a bit under age when I joined Mothers, could never remember the fake date of birth I used. Still have my original membership card. I used to walk home to Sutton unable to hear properly, and sat in A level maths etc the following morning with ears that were still full. Best wishes to all who were there for the best of times. See you at the Re-union 28th May. My girlfriend fudged her age as well. She just made herself a year older. Used to drive home after. Couldn’t hear the engine! Geno Washington seemed to be the ever present at the Carlton as I recall. The only time I went there was to Mothers to see May Blitz. I still have my membership card for Mothers! 🙂 I *think* I saw the Idle Race there – must have been 68 or 69, Summertime. In fact it was 13/8/69. Still have my membership card for Henry’s Blueshouse too – saw Joe Cocker and the Grease Band there. I WAS there for the fateful Fairport Convention gig in 1969, the night before the crash. Fairport were my favourite band at the time and the early line-ups are still among my favourite bands of all time. I don’t think either Sandy or Richard ever found a better set of musicians to frame their talents. I know I saw Eclection with Fairport on a couple of occasions.Were Eclection supporting them that night? I know that Sandy was not involved in the crash because she was taking a lift home with Trevor Lucas. Does no-one else remember Bakerloo Blues Line? I’m sure I saw them at least twice there and was blown away by their version of “Smokestack Lightning” with Clem Clemson using the mike stand as a feedback bottleneck as the song came to its climax. Saw Cream play 24 July 1967. Still got Ginger Baker’s drumstick. Took a poster off the wall and passed it into the dressing room to be signed by Eric Clapton, which he did. Sadly lost, would be priceless today. Saw amazing bands, danced on the side of the stage, hard to believe all the now famous bands that started there Then from there over to the Elbow Room in Aston, got there early one night, sat in the bar talking to a lovely black guy,who said he was a musician and was doing a gig that nite, he turned out to be none other than Jimmy Hendricks. Oh wow!!!! Met my husband there 47 years ago. saw muddy waters (twice) went to see fred Mcdowell ,got there and thought the support band were just a mess of noise! turned to ask when fred Mcdowell was due on guy said didn’t you see the notice downstairs-he,s ill and couldn,t make it. who are these crap then? oh, some band called Black Sabbath so with that I went downstairs and asked for my money back and went home .never got to see fred Mcdowell (died 2years later) never wanted to see Black Sabbath!!! Some great memories of mothers four of us went their three times a week from stratford on avon most memorable bands were edgar broughton groundhogs ginger bonso dog yes stray pink floyd +many others great place and times, take care everyone. First time I visited The Carlton I met my late wife Jennifer, those were very happy days. Just in case anyone is looking at this topic, note that tomorrow, March 5th 2018, BBC1’s Inside Out programme is showing an interview with me, Rob Moore – another Mothers regular – and Jez Collins, Birmingham music historian. It’s just coming up to 50 years since Mothers first opened up and BBC Midlands decided to do a feature, recording it at Mothers. The carpet shop is now a Polish foods shop and the owners were kind enough to let us in upstairs for the interview. Broadcast time is 7.30pm..note that you’ll only see this in the BBC Midlands region though I guess you could see it on BBC iPlayer in any region from 24 hours later. I was the drummer with a band( Brandy Tears), we played Mothers 2/11/68.cant remember if we supported Steppenwolf or the Who. I remember Steppenwolf did (born to be wild) brilliant ,but the rest of the set was disappointing ,we supported the Who ,Pete Townsend came into the changing room ,just as they were due on they were outstanding ,moons snare drum broke and was thrown to a roady who threw a replacement back without missing a beat ! I can also remember Family playing there “fantastic ” and at the same time there was a TV room at the back of the club showing football my have been the world cup ?. we also supported Bakerloo blues line at Henrys Blueshouse, “Brilliant”. Not bad for a small local band from Shrewsbury. Went there a few times with an old friend sadly who is not with us now,we live had to catch three buses to get there as we had to travel from Dudley.I saw ,Blodwyn Pig,Duster Bennett,and i think Edgar Broughton Band,it was a great club,i too remember queueing down the alley,happy days. I was too young for Mothers but I remember its existence. We lived in Mason Road off Erdington High Street. My Mom & Dad said it was a den of iniquity. By 1972 I knew all about the importance of Mothers. I was 14 years old, my older brother was at Grammar School in Aston and while some in my Secondary School class were listing to Chicory Tip and Pickettywitch I was listening to Led Zeppelin, Black Sabbath and Fairport Convention. When talking music I sometimes ask the question…. What has Erdington High Street and the Amphitheatre at Pompeii got in common? Being very interested in the Popular Music of the Early 1970s in the context of my Blogs I could not resist the opportunity to snap up an ultra-cheap copy of a ‘New Musical Express’ of 28th February 1970 at an ephemera stall at an event I attended over the weekend. I have amazed my older brother, who was/is a great Alice Cooper fan, by the fact that, in the ‘Who’s Where’ section on page 3, there is a reference to a gig (4th March 1970) at Mothers, Birmingham billed as ‘Captain Beefheart’s Magic Band with Alice Cooper’, which would have still been very early on in his career, long before he’d have been a name much known here in the UK. Are there any Birmingham people (I’m from Derbyshire myself) with memories of that gig?…or people from further afield, for that matter.